When siding your house, often you begin with big ideas, and those big ideas gradually shrink as reality hits you in the face. When you are trying to decide between a fiber-cement board like HardiePlank as opposed to the more cost-effective alternative of vinyl siding, the answer would be easy if all factors were equal. In all areas except for cost, HardiePlank brand and other high-quality fiber-cement siding boards are the clear winners over vinyl siding. But as with so many things home-related, it's those numbers preceded by the dollar sign that can quickly pivot your decision in a different direction. HardiePlank is significantly thicker than vinyl siding. Just like real wood lap siding, HardiePlank is thick. While thicknesses do vary, an average thickness of HardiePlank is 5/16-inch or over 1/4-inch thick. 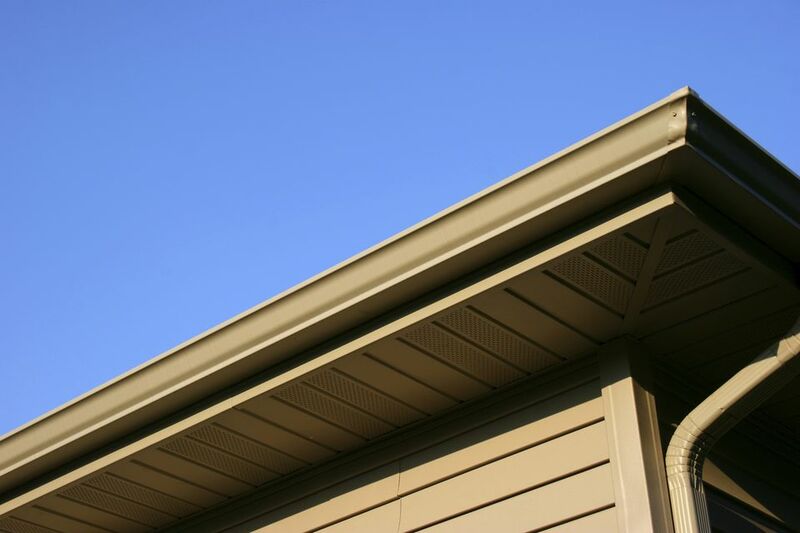 By contrast, vinyl siding is far thinner: between 0.040 and .046 inches thick. This means that vinyl siding is about 2 1/2 times thinner than HardiePlank. In terms of outward appearance, though, thickness does not really matter, except in the case of texture. In fact, vinyl siding can be backed with foam sheathing or insulation, providing greater exterior thickness. Once both products are installed on a house, you cannot see the total thickness. In terms of durability, though, thickness does matter. Vinyl siding is more affected by fire and extreme heat than HardiePlank. HardiePlank is composed of cement-like materials and about 10-percent to 5-percent cellulose (wood) fibers. Contractors sometimes complain because fiber-cement board kicks up clouds of cement dust. Extreme care must be taken, since inhaling the dust may result in acute silicosis. One fortunate result of all of this cement content is that HardiePlank will not burn. James Hardie Industries considers HardiePlank and all of its fiber-cement products to not be "explosive or flammable." Vinyl siding is treated with fire retardant, but this only retards or slows down the spread of fire. Firefighters sometimes comment on how houses with vinyl siding neighboring a burning house will badly warp in response to the adjacent heat. Often, a burning house up to 60 feet away will affect an adjacent house with vinyl siding. Because HardiePlank is thicker, it allows for deeper texturing than does vinyl siding. HardiePlank's thickness allows for deep embossing, and as a result, it looks more like real wood. Vinyl siding usually does have a wood-like relief, but the product is too thin to allow for the deep textures found on HardiePlank, other brands of fiber-cement siding, or real wood, for that matter. Vinyl siding is nearly always less expensive than fiber-cement siding. Vinyl siding is far cheaper than fiber-cement siding, both in terms of the product and labor costs. One rough rule of thumb: the maximum you can expect to pay for vinyl siding is the minimum you can expect to pay for HardiePlank and other fiber-cement siding products. This is not a hard-and-fast rule, and you may find that other brands of fiber-cement siding shrink the cost gap with vinyl siding. HardiePlank and vinyl siding each have their own durability pros and cons, but on the whole, HardiePlank can be considered to be more durable. Vinyl siding and HardiePlank are both very durable, surpassing wood lap siding (which needs regular painting) and cedar shake (which needs regular treatment). Both products have little to zero appeal to destructive insects, mainly carpenter ants and termites. Woodpeckers are rarely interested in either product because they usually do not harbor the insects that appeal to woodpeckers. If termites do begin to devour a home with either siding, they are interested in the organic materials found in other building elements, such as wood studs, sawdust, and wood shavings, OSB underlayment. Each product is flimsy in its own way. The classic way that vinyl siding gets damaged is when an errant lawn mower or garden spade hits the siding, punching a hole or creating a gash. Freezing temperatures make vinyl siding more prone to cracking. As noted earlier, heat will warp it. Place a barbecue too close to vinyl siding and it will be warped beyond repair. Typically, panel replacement is the only fix for warped vinyl siding. HardiePlank, being essentially a long, thin sheet of concrete, will crack upon impact. It will not warp or melt. Is Jacking Up Your House a DIY Job?